How many hours did you sleep last night? Most people believe that eight hours is the magic number but current scientific data say that is a myth. The National Sleep Foundation’s annual survey reports that the majority of adults sleeps seven hours a night and feel rested. This should come as a big relief for many people who can’t seem to squeeze in that last hour. Seven hours is the ideal number that most of us get naturally. Many people in the working world end up with less than seven hours a night which means that they may be sleep deprived a good part of the time. Some of our clients wear it as a badge of courage, boasting to co-workers that they were up until 2 a.m. catching up on work email. Most of us do not fully realize the impact sleep has on our brain. Productivity is affected when we have too little sleep because it is harder to think and make full use of the brain’s cognitive skills. Common reasons for poor sleep are physical pain and medical conditions such as stress, anxiety and depression. Focus: While we all lose focus from time to time, people with sufficient sleep get their focus back quickly. Not so for those who are sleep-deprived. They find it much harder to refocus although don’t necessarily realize that their performance has suffered. Mistakes: It is much easier to make mistakes without enough sleep the night before. Research shows that people reduce their response time by 50% and that they have a lower accuracy rate for simple tasks than someone who is inebriated. On-the-Job-Burnout : With fewer than six hours of sleep a night productivity loss is huge (and expensive). This is a serious issue confronting employers and costs companies billions of dollars a year in lost productivity. Decision Making: Making on-the-spot ones, is also affected. Without enough sleep, the brain finds this a very difficult task. Physical Difficulties: It is not only productivity that suffers but medical conditions such as heart and kidney diseases, type 2 diabetes, obesity and degenerative brain disorders. Common reasons for restless sleep are physical pain and medical conditions such as stress, anxiety and depression. Did You Know that Your Brain Stays Active Day and Night? 1) Our body cells are reenergized and repaired which is why we wake up feeling refreshed. Even our mood is better and on more of an even keel throughout the day because we have more control over our emotions. 2) At night our brain moves information that we take in during the day from short-term memory (temporary storage) to long-term memory, the brain’s more permanent storage. While we sleep this new learning is organized and codified. So, with a solid night’s sleep, the brain is likely to remember more. 3) New research from the University of Rochester Medical Center using state-of-the-art technology discovered that a cleaning system exists within the brain to help remove protein buildup at night. When people sleep their brain cells shrink which allows fluids to move around easily and take away the detritus before it builds up. If they stay in the brain the brain does not function as well. The presence of toxic proteins in the brain may contribute to the aging process, Alzheimer’s and other neurodegenerative disorders. Common reasons for restless sleep are physical pain and medical conditions such as stress, anxiety and depression. What’s Neuroscience Got To Do With It? While there are still many unanswered questions, our urge to sleep or stay awake depends on how well a few small areas of the brain function near the brain stem (the reptilian brain). Neuroscientists have determined the location of these areas. When a person is most alert, the brain inhibits areas of the brain responsible for promoting sleep. And when the brain wants to inhibit wakefulness, the sleep-promoting areas of the brain become active. Understanding the brain’s role while we sleep is complex and not yet readily understood. Instead of the brain just switching off, it goes to sleep in stages. Two groups of cells located in the hypothalamus and the brain stem move us into the SWS, slow-wave sleep. It is in this deep sleep when large, slow brain waves, relaxed muscles and slow, deep breathing help the brain start recuperating from the day. This is followed by rapid eye movement (REM sleep) when the muscles do not move and breathing and heart rate become erratic. During this time a person can dream vividly. The high level of brain waves is similar to brain activity when a person is awake. A small group of cells in the brain controls REM sleep. What can you do to fall asleep faster? Look for the answers in the next sleep blog. Is your home office set up for you to maximize your efficiency? These days most of us have home offices. Sometimes it is where we work evenings and weekends or it is in addition to our main office. Other times we are in a home office full time. If so, are you making your day as productive as possible? of the changes that can made easily to improve their productivity. 1) Improve the lighting. This is, perhaps, the most important consideration. The best light is natural light from outside. If you are fortunate to have access to this light, place your desk in a spot that it takes advantage of this light source. However, not everyone is fortunate to have light streaming into the office and not every home office has overhead light. A task light directed over your work space works wonders especially on dark days. I had a CPA client whose home office was in her basement. Every time she worked there she felt dreary. Once we added a task lamp and a floor torchiere that spreads light across the room, the space opened up and she no longer struggled to read the numbers on her computer screen. All of a sudden she felt very differently about her “lower level” home office. 2) Set up a good workflow. A project often involves several steps that can be worked on simultaneously or in sequence. Think of the time wasted if you have to stand up and move across the room every time you need an important file that is part of a project. Think, too, about access to the technology equipment needed for the project such as a scanner, copy machine and computer. Good workflow depends on having the right tools and equipment at your fingertips. While you’re at it, check periodically that your technology is up-to-date so you’re not wasting precious office time fixing it. It is frustrating – and a bit scary — when a computer crashes and there is a possibility of losing data. Or, what if you need to scan information for an important case and your scanner is acting up? Do you have an IT person you can count on? 3) Pare down desk items. Keep the items on your desk basic and within easy reach: phone, computer, possibly an extra monitor, a picture or two of the family, essential supplies and the project you’re working on. Everything else is a distraction. We waste 55 minutes a day, according to The Wall Street Journal, looking for documents we know we own. That is a lot of time that could have been used productively. 4) Muffle noise from other rooms. Take a hint from psychiatrists and invest in a machine that makes white noise. Not only will it improve your concentration, but will mask the sound of a dog barking when you are on an important call. 5) Evaluate your office chair. Is it comfortable? A poorly-fitting chair can cause back pain which is a serious issue and one reason that people miss work. According to The American Academy Of Family Physicians, half of the working population suffers from back pain every year and 90% of adults experience it some time in their lives. A desk chair should be ergonomically correct so that the computer screen is in the right position along with the arm height and wrists. 6) Pay attention to aesthetics. They matter. Recently I was in an office where there were attractive pictures on the wall and calming paint colors. I commented on the good-looking office. The office owner told me how proud she is of her office and how it positively affects her mood. If your walls are all-white, perhaps it is time for a change. An interesting shade of paint and a few decorative art pieces make a big difference and do not have to be expensive. Did you identify one or perhaps two areas that you could change in your own home office? If so, it’s time to upgrade your office so it will be a place where you enjoy working. If you like your environment, I guarantee that your productivity will improve. 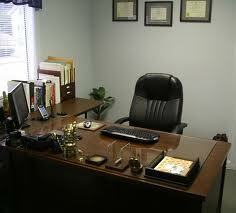 Please reply to this blog and let me know what you plan to do to maximize your productivity in your home office. In this day and age of busy-ness and multiple distractions, mindfulness has come into common usage as an antidote to scattered minds. Time Magazine, The New York Times, Forbes and many other well-respected publications often extol the reasons for their readers to learn more about this hot new buzzword. “Many corporations and employees are also realizing that the benefits of mindfulness practices can be dramatic,” reports The Huffington Post. Well-known companies such as Google, LinkedIn, and General Mills, are starting to provide mindfulness training to their employees because they understand that mindfulness reduces stress and allows employees to acknowledge their emotions, to stay in the present, and to remain productive. Example #1: You walk into your office and immediately turn on your computer to download email. An hour later you are not even close to done and then you remember that the project due today has not yet been touched. Had you been mindful when you walked in the door, you would have planned your day carefully. The email check would have waited until the important project was sent off. Using mindfulness gives people more control over the day. Example #2: You are in a meeting and strongly disagree with a colleague. Both of you leave in a huff. Here is where practicing mindfulness is invaluable. By acknowledging your feelings, you now become an observer. It takes the sting out of the strong reaction you have just experienced and provides a calming effect. You can “see” your feelings but not be “undone” by them. Without the emotional baggage, it is easier to communicate with your colleague and stay productive that day, instead of angry. Example #3: You are back in the meeting but only in body because you are thinking about something else. Join the ranks of people (virtually all of us) who are not in the present. With this mindset, it is unlikely that you will benefit from the meeting nor will you contribute to it. On the other hand, good things happen when you pay attention and are engaged — you are more likely to provide valuable input because you are in the present and paying attention. •	It is easier to process information at a higher cognitive level because there is less stress getting in the way of clear thinking. •	It changes the way you react to everyday occurrences because you have time to pause before acting. •	It helps eliminate distractions by acknowledging them and moving on. •	It supports overall health and well-being due to less stress. 2) Let go of judgments by resisting assumptions and not coming to premature conclusions. 3) Wait before acting. Give yourself time to observe and think. 4) Identify your emotions and label them. It is not always easy to describe to yourself what you are feeling but, when you do, you will have better control over them. The feelings will be easier to regulate and to put aside. 5) Inhibit the emotion. Once you are aware of your feelings, stop them from interfering. Push them away. Otherwise, it is difficult to return to your current activity. Do not allow them to take over. 6) Maintain your focus on one thing only. Consciously put other thoughts out of your mind. 7) Take mini-breaks throughout the day to give your brain time to rest. Switch to easier, less cognitive tasks, take a quick walk outside and enjoy a short lunch break. By practicing mindfulness and paying attention on purpose, you can become more efficient, more focused and more productive. Why not give it a try? Let me know what happens when you do. Take a look around you the next time you’re sitting in a meeting. You’ll mostly see tablets and laptops and maybe a smart phone or two. This trend to rely on an electronic device for note-taking in a meeting, seminar, conference (or anywhere else) does not appear to be slowing down. The days of taking notes using an old-fashioned notebook or lined notepad seems to be fast disappearing. Compare that to taking hand-written notes and deciding what to do with the notes after the session and you are back at your desk. What happens to the notes? If you are like most people, you toss them onto a stack of paper on the desk or credenza because you have no idea where else to park them. And that’s where they stay. However, with a tablet or computer, the notes will not be lost, especially if they are electronically tagged. There is definitely less paper clutter. Moving the notes to the Cloud with programs such as Dropbox and Google Docs is another reason to take electronic notes. These programs are reliable, excellent storage spots and the data are safe. Coffee won’t spill on the pages. A final reason to opt for electronic devices is that most people type faster than they write (unless you peck away) so electronic notes contain more information than the hand-written versions. We’ll soon see, however, that typing quickly and efficiently is not as much of an asset as we might think. With all of these “pluses” for taking notes on electronic devices, experiments in June, 2014 showed that hand-writing notes wins hands down (pardon the pun) over a tablet or computer. Researchers Pam Mueller and Daniel Oppenheimer* learned that students who write out everything by hand actually learn better. They remember more details, process and understand the material better and can explain it better. Even though hand note takers end up with fewer notes because they cannot write as fast as they type, they still integrate the information better. How could that be? Quite simply, the learning process is different. Writing by hand requires the note taker to put the content into his/her own words. That requires listening closely to the material presented, translating the information so it is personally meaningful, and capturing the intent of the speaker. Hand writing notes requires the brain to pay attention, stay focused and interpret the meaning of the words. 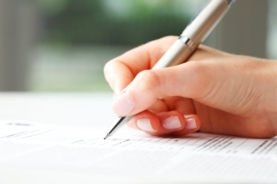 Even after a period of time, hand note-takers retain more. This action is far more effort than simply typing the words without filtering them which is why better learning takes place among people who hand-write their notes. There are many cues that help the reader remember what was said such as the way the content is worded, the use of short-hand symbols and conclusions the note-taker draws while actively listening. These cues are not evident from electronic notes. On an electronic device, something else happens: the note-taker is easily distracted by new email pings, texts and the urge to surf the web. Even though the note-taker is listening, he/she is multitasking and not paying complete attention. Some of the information will not be captured. How can it be when your mind is switching back and forth from task to task? And, finally, while electronic note-takers have less of an incentive to look at their notes once they are filed away, manual note-takers often have a different point-of-view. They refer back to their notes to organize and review them and perhaps even rewrite them more coherently. The act of rewriting means focusing on the material again. Learning occurs each time the notes are read. In fact, neuroscientists have discovered that an area of the brain called the Reticular Activating System (RAS) lights up and activates learning. … if you prefer taking notes by hand and didn’t understand why, it now may be clear why you resisted the urge all this time to follow the lead of your co-workers and use an electronic device. … If you currently take notes with a tablet or computer, try showing up for your next meeting or conference with a low-tech notebook or notepad. You may be very pleased with how much you remember just by hand-writing the meeting or conference notes. That plain old white pad will help you focus on what’s happening at the meeting. You’ll walk out of the meeting understanding exactly what happened and what you need to do to follow up. Your co-workers may not be so fortunate and may even look to you for guidance. Go ahead – it’s OK. Let them in on the hand-writing secret. 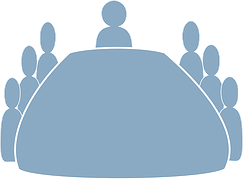 Do meetings play an important role in a company? According to Al Pittampalli, author and expert on meetings, “Meetings are the lifeblood of the organization. They’re the place where we make the most important decisions, express the most important matters of the day.” But he admits that meetings can be a huge waste of time and that it spreads out responsibility so that critical decisions tend to be put off. Can participants receive the information as effectively another way? Would email work? If you need to disseminate information, can you do it by email? By phone? Can people submit their ideas in writing? 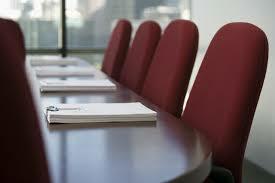 If you are invited to a meeting, consider whether you are able to contribute to the meeting and have an active role. If not, excuse yourself from the meeting, if that is possible. Would you believe that the people leading the meetings are often the biggest hindrance? Most meetings are not run well, although the people running them would be surprised to know that participants are not happy. Letting your boss know that he/she is doing a poor job handling the meeting probably would not go over well. So, forget that strategy unless you have a very open-minded boss. How much time do employees spend in meetings? If meetings took a small amount of time, then perhaps, just maybe, the time inefficiencies could be overlooked. But that is hardly the case – meetings are a huge chunk of many days. Senior executives spend over half of their time in meetings (an average 28 hours per week!). Middle managers also do not fare well, devoting over 40% of a 50-hour work week sitting in meetings for 21 hours weekly. A British study of 1,000 employees concluded that employees considered more than half of that time wasted and that meetings are their biggest time waster. What is the ideal number of people attending a meeting? Six or less according to the Wharton School of Business. More than that and productivity per person declines. Often cliques and sub-teams with their own agendas form and some people find it easy to coast. For a small project, two or three people can often accomplish the job. What days are good to hold meetings? Not Monday (too soon after the weekend and people are still recuperating) and definitely not Friday (too close to the upcoming weekend). That leaves Tuesday, Wednesday and Thursday – all good days. Another plus is that there is time for follow up from the meeting. What times are best to hold a meeting? Energy levels are at their best between 10 and noon. Not recommended: first thing in the morning when people are just arriving at the office. They may need to plan out the day, finish a project from yesterday or complete a task right away. In the late afternoon people are tired and ready to go home. What types of meetings are best? Collaboration is highest when people are face-to-face either in the same room talking and looking at one another or standing up. On your feet meetings work particularly well because attendees are focused on the issues and eager for the meeting to be over so they can sit back down. Phone and teleconference meetings may be necessary particularly when distance is an issue. Email meetings are not advised. 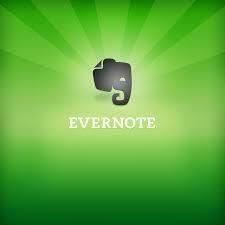 There are many pluses to a digital notebook app such as Evernote or OneNote. When I first started writing about these apps I considered adding the reasons not to use an app but I could not come up with any. That struck me as pretty amazing and is because most everyone needs one, whether you are technologically literate or stick to the basics. While there are several digital notebook apps on the market, Evernote and OneNote are the most well-known and the ones with which you are most likely familiar. Neither one is “better” than the other. Recently I published a newsletter on this subject and a reader asked how she would use this type of app. She currently uses her iphone for to-do lists and miscellaneous information but knows that there are advantages to these apps. She is absolutely correct. Think of a digital app as a notebook similar to the ones used in school. A colleague recently mentioned that she is happy using a three-ring binder to keep track of her daily workout regimen, the books she reads and the movies she wants to see. It’s great that this system works for her but it’s not for everyone. Others prefer an electronic version. That is where digital apps fit in. The basic premise of a digital notebook app is simple — you create notes which you can then group together in a notebook, similar to the format of a paper notebook. For example, let’s say you decide to keep client information in a digital notebook app. All you need to do is to create a note for each client. Then collect the client notes in a notebook, if you desire. One advantage of digital notebook apps is that they are flexible, allowing you to move around notes and organize them any way you please. Bottom line: the information you collect is stored all together in a specific spot not in various locations on your computer. The best feature is that the note you enter is automatically synced to all your devices. If you need to access a note you entered on your computer, it is also available on your phone or tablet. This feature alone will come in handy more times than you can count. After the note is written, you can add one-word tags describing the contents, making the note easy to find. These programs deserve kudos for their accurate search capabilities. And let’s not forget that the data is stored in the cloud. As devastating as a computer crash is, it will not affect the data on your electronic digital device. That’s a comforting thought. The apps work equally well for personal and business. On the personal side, has this happened to you? A trusted friend gives you the phone number of a house painter but you have no idea where to store it until you need it. There is a good chance you may lose the number before you need it. However, adding it as a digital note in a notebook means that now you can feel comfortable discarding the extra piece of paper. Other ways to use this app personally are to write journal entries, save flights and hotels for your next trip, list doctor appointments or keep track of medications. You can even download and listen to a favorite song from YouTube. On the business side, how many times have you seen an article (or a section of the article) on the internet that you’d like to save for future use? These apps make it possible to “snip” data from the web, manage projects, encrypt important documents such as passwords and confidential client information and write notes in a meeting. The list is endless. One of my favorite uses is jotting notes on the go such as a book that a friend recommends. Are these apps free? Yes, although they offer premium editions with extra features. My suggestion: get to know the free programs first and then decide whether you need or want the extra features. If you are not already using this powerful technology tool or are not taking advantage of its power to help you stay organized, I highly recommend it. When you start using this app or when you increase the types of things you use it for, you will definitely appreciate the benefits of a digital notebook app. P.S. A newsletter reader did mention a downside to these apps — they do not have an alarm to remind you at a particular time. Most of us depend on reminders to keep us on track and it means that we have to set a reminder on Outlook or on our phone for a specific time. Meetings consume corporate America. In the past 15 years, American workers have been spending more and more time in meetings. A survey released last week by the software firm Clarizen and Harris Poll reports that the average American office worker spends 9+ hours (more than a day!) every week getting ready for or attending meetings. That number is up almost 14 percent from the last survey four years ago. To make it worse, time in meetings is continuing to grow at a substantial 8-10% annually and there is no sign of letting up according to Michael Mankins from Bain & Co.
Can you add value? If not, bow out. Enter the date and time of the meeting into your planner as soon as you are invited. Leave open time intentionally before and after the meeting for returning phone calls, checking email, etc. Prepare thoroughly for the meeting. You may need to block out time on your planner ahead of time to read the agenda and information and do any necessary research. Arrive on time for the meeting. (This can’t be emphasized enough!). See how to start meetings on time. Contribute to the conversation and feel free to disagree, as long as you can back up your statements. Welcome the controversy! Give and take discussions are healthy and often lead to productive solutions which is the purpose of a meeting. Otherwise, why bother to talk in the first place? Argue fairly and only over ideas. Avoid, at all costs, turning arguments into personal accusations. 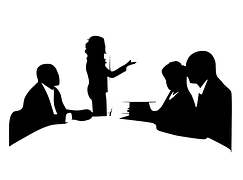 Express your point-of-view even if a senior executive is running the meeting. While this may feel difficult, a good leader appreciates hearing different sides of the story. Pay attention even if you are surrounded by colleagues checking emails, doodling and reading reports. Do your part to make sure the meeting ends when it should. That means sticking to the topic and not digressing. Take notes if you will remember better. This process also keeps you focused and involved. Volunteer for a task if you are capable of accomplishing it and have (or will make) the time. Mention that you got a little confused. Can you clarify? Don’t give in to others around you who are not paying attention. Try these suggestions and do your part as a meeting attendee to insure that the meetings you attend are successful. Give them a try. Is it acceptable to start a meeting on time even if people are late? The answer is usually yes. If attendees know a meeting will not start on time, they may be purposely late. They may take advantage of the “extra time” they now have to make a last-minute phone call or write a quick email. By waiting for the latecomers you are tacitly giving them permission to arrive whenever they choose. Even beginning 10 minutes late is wasted time for the on-time attendees and the company. Let’s not allow the late-to-the-meeting attendees to get the upper hand. Have you ever thought about giving an incentive for people to arrive on time? There may be hope after all for the people who are ready to start at the appointed hour. Snacks and/or drinks definitely help! There are other ways to encourage people not to be tardy. Try emailing everyone attending the meeting a few days ahead requesting that they please arrive on time. Or, remind them a few times as the day gets closer (just like an Evite). Perhaps stop by the offices of people you know are often late and remind them that it is rude to make others wait for them. Or move the meeting to a different location. An attorney told me that he did just that with a staff member who consistently showed up late. At the beginning of the meeting, the attorney invited everyone to a nearby coffee shop. Over drinks, they held the meeting. Imagine the surprise on the late person’s face when he saw everyone hard at work and also enjoying their favorite beverages. He got the hint. The attorney acknowledged the late-to-the-meeting person and suggested that he ask another meeting attendee to fill in later on what he missed. Now, that’s a creative way to motivate people to arrive on time! Include everyone in the discussion. Use a stopwatch and allow everyone two minutes to express an opinion on the proposal being discussed. Follow up with one minute for questions and answers. Try a round robin so everyone contributes. Often, people who hesitate to speak in front of the group end up making excellent contributions. Or, ask quiet people ahead of time for a specific contribution. Take accurate, detailed minutes. Sometimes decisions are made at meetings and no one remembers why a few short months later. Good notes are often a life-saver because they remind everyone what was decided and why. It also makes it easy for new hires and those just promoted to catch up on a specific topic quickly. At the beginning of the meeting (or beforehand), appoint a person to take notes that will include the names of the people responsible, the specific action and due dates. I even highlight the person’s name so that he/she can easily transfer the action items to their task list. If the meeting is important – and long – consider recording it with audio or video to ensure that no important information is lost. Another possibility now available is to use tools such as SubEthaEdit or EtherPad. These apps allow multiple people to edit and collaborate on the meeting notes simultaneously. Everyone will stay engaged in the meeting and no one needs to spend time writing up the meeting notes because they are completed by the time the meeting is over. This is a good idea as long as people do not lose focus on the discussion and become too distracted by the note-taking. Stay on track. Stick to the agenda and follow the estimated time allocation for each item; that will make it easy to identify issues that are dragging on longer than necessary. Keep the meeting moving and use the agenda as a roadmap – it is particularly handy if the discussion veers off-course. If that happens, try and stop the tangent right away. Otherwise, before you know it, the meeting has been derailed and is moving in an unplanned direction. Assign a committee to iron out details, if necessary. Use meetings to discuss, maybe even argue as long as it is done fairly. It is ideas that are being discussed. The point is not to personally attack other people in the meeting. End on time (high marks for this). Conclude a 60 minute meeting in 50 minutes and watch everyone’s face light up. That will give people an extra 10 minutes to get somewhere else or prepare for something coming up. And, they will be more likely to attend other meetings if they know their time is valued. 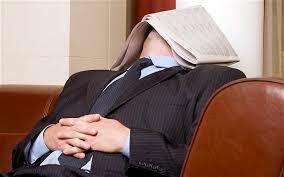 If the meeting goes over the allotted time, the take-away message is that their time is not important. Meetings often run longer than they need to says Steven Rogelberg who teaches industrial/organizational psychology at UNC. He attributes it to Parkinsons Law that tasks last as long as the time allotted. So, if the meeting is planned for an hour, then it will take an hour. After the meeting: Distribute the minutes asap. The person responsible for the minutes should file them in a location (preferably electronic) where they are readily accessible. Keep track of the tasks in your planner or task list and follow up with the individuals who were assigned the tasks to make sure they are completed. Running an effective meeting takes planning and organization but is definitely worth it. The meeting will go more smoothly and the outcome is likely to be better. Give these tips a try! Let’s not allow the late-to-the-meeting people to get the upper hand. There may be hope after all for the on-timers. The next time you are in charge of a meeting, think about trying a few of these ideas to help round up everyone in the same room at the same time. Before the meeting send a meeting invitation through Microsoft Outlook or Google Calendar. Include an agenda listing the topics, the persons responsible, and the time people will be presenting. Put late offenders at the beginning of the agenda. Include these words on the meeting invitation: Please note that this meeting will begin and end on time. Confirm the meeting by email a day or two prior to the meeting. Remind participants about the purpose and anticipated outcomes of the meeting and what they will be contributing. Set up a tardiness fine of $1 for every minute a person is late and specify that the money will be donated to charity. Mention this in advance so no one will be caught off guard. Another technique that a client shared is that she gives people points ranging from ½ to 2 points depending on how late they are to the meeting. If they miss the meeting altogether, they receive 3 points. Altogether, they are allowed five points; after that they are disinvited to the meeting. Start the meeting on time. Why should those who are on time be penalized? Despite what the latecomers may think, no one has time to spare. Do not count people being on time if they walk into the meeting room, put down their stuff, and leave to get coffee. They are still late if they do not return before the scheduled start time. Continue the meeting even as latecomers enter the room. Acknowledge them with a nod and keep going. There is no need to review what had been discussed before their arrival. There is no need to reschedule the meeting if people, especially the key players, do not show up. Lock the door two minutes after the start time. Employees at a high-tech company in California started to do this so their boss would get the idea that his late arrival was not appreciated. Of course, they opened the door when the boss knocked. While this radical approach is not for every boss he/she will get the idea quickly. End the meeting on time. This sends a clear message that you are respectful of people’s time. If you are running over, discuss with the group ways to handle the issues that will not be discussed due to lack of time. Often it helps to form a subcommittee to look into an issue and report back to the group. Oh and don’t forget to thank the persons who donated money because they were late. After the meeting set a time to talk with your boss if he/she is always late. Meet with her at another time. Ask her opinion about starting the meeting without her. Check if a different time would fit the boss’ schedule better so she could be there at the start of the meeting. What if the subordinate is always late? Speak to the subordinate privately and try to find out why the person is chronically late for meetings. Explore how you can help and the types of resources that would be beneficial. Maybe a time management class or maybe, ahem, a productivity specialist can help. Warn the person first if he continues to be tardy for meetings; if the situation does not improve, you may need to initiate a performance improvement plan.